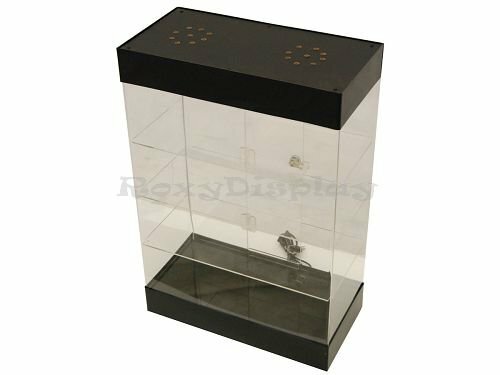 Acrylic Display Tower Case Dimensions: 17.3"x8.7"x26"
Small items display case with built in led lights at top, and door lock. Color: Clear with Black/Silver Top and Bottom. Acrylic Display Tower Case, Assembled! Beautiful jewelry or watch display, Small items display case with built in LED lights at top, and with door lock.